been doing lots of cutting, tacking, sewing since the beginning of the week. early morning to late evening. it's been a while since i last did so much works. just share a quick fun tips today! 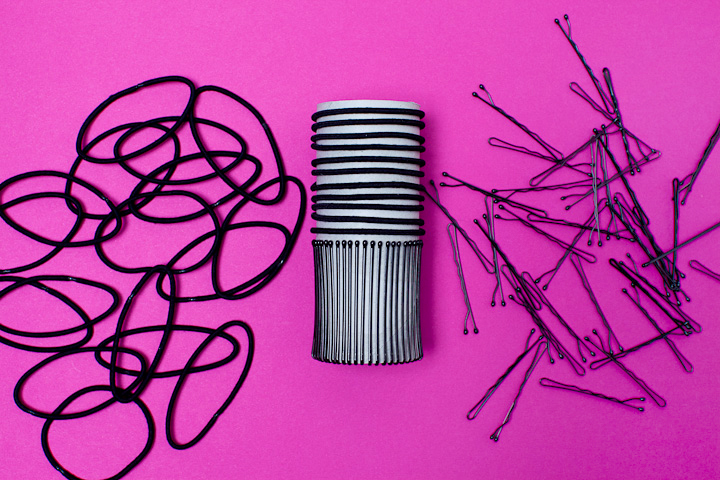 i use a lot of bobby pins for hair-do. but always have problems looking for or keeping my bobby pins. even though i do have a little box to put them in. and a small paper-card to clip them to but it's too shabby to clip onto now. sometimes i would spot them somewhere unlikely to be seen. 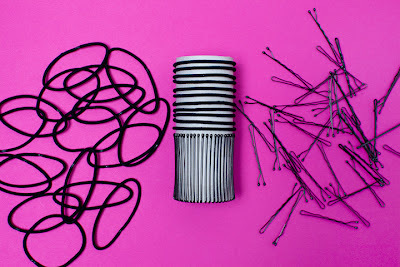 just the right size to keep hair elastics and bobby pins secure anytime. whats-more you can find one in any toilets. a great deed as well. i might keep one in my bag too, perhaps?